Box without Limit: China: Justin Bieber not welcome and thanks to his "bad behavior"
China: Justin Bieber not welcome and thanks to his "bad behavior"
Beijing, China: China says it's not appropriate for Canadian pop star Justin Bieber to visit China because of his bad behaviour and he needs to improve his conduct to become a singer "truly loved" by the public.Bieber's lifestyle overseas and his "words and actions" when he last performed in China had generated "public dissatisfaction", Beijing's Municipal Bureau of Culture said, without specifying what behaviour had caused offence. Given efforts to "purify" the performing arts environment in China, "it was not appropriate to bring in artists with bad behaviour", the bureau said on its website, responding to a question from a fan asking why Bieber was not being allowed to tour. "We hope Justin Bieber will continue to improve his behaviour as part of his growth, and become a singer truly loved by the public," it said. 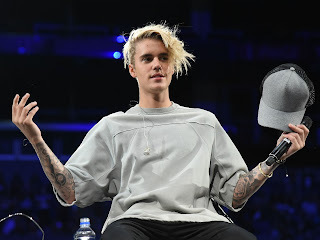 It is unclear whether the comments, which were carried on an official government website,constituted a ban, or if the singer had sought to tour China.Bieber's management company did not immediately respond to request for comment.Beiber performed in China in 2013 when media coverage centred on him stripping on stage in Beijing to reveal his bare torso, being carried up the steps of the Great Wall of China, and riding a segway, again shirtless, through the streets.